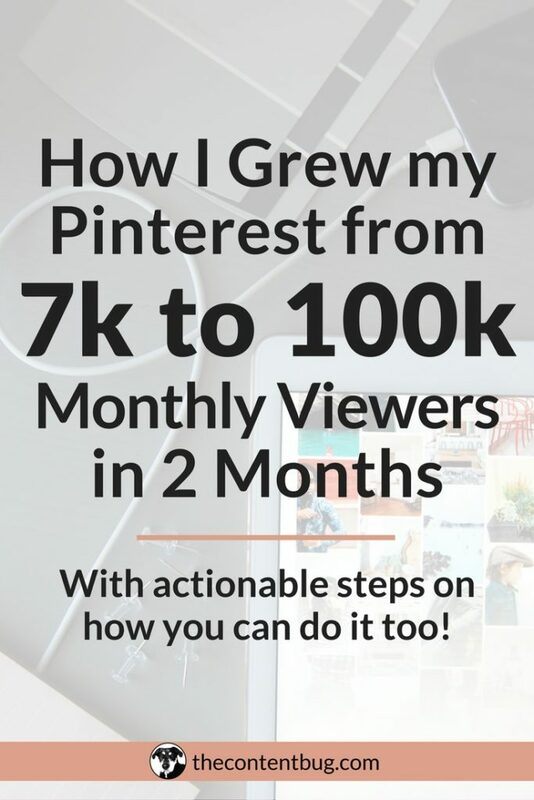 When I first wrote the blog post on How I Grew my Pinterest from 7k to 100k Monthly Viewers in 2 Months, I had no idea how popular it would be. To this date, it is still one of most popular blog posts and it continues to increase in popularity with more comments and more shared every day. But the thing is, I wrote that blog post a long time ago. It was actually only 6 months ago… so I guess that’s not that long. But since then I’ve developed my strategies and worked even harder to improve my visibility on Pinterest. And guess what! I’ve actually done it. 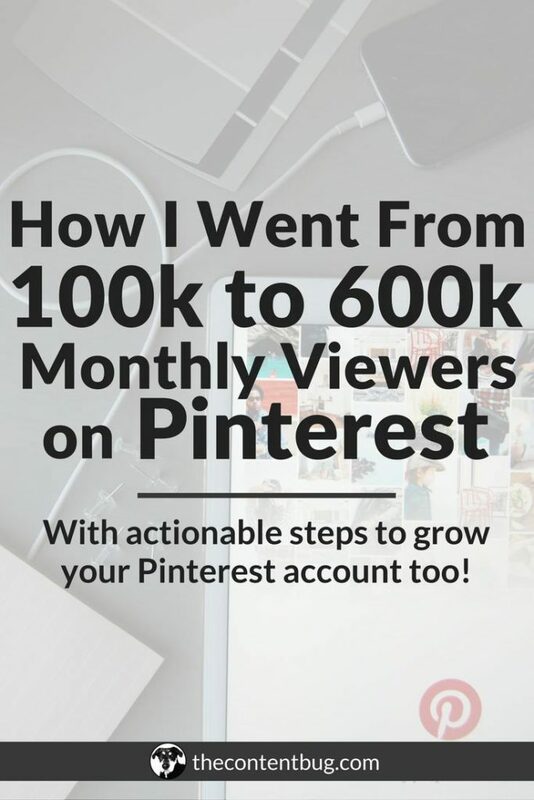 I transformed that 100,000 monthly viewers on Pinterest to 600,000 monthly viewers on Pinterest. But it didn’t come easily. And it didn’t happen overnight. Actually, just when I was about to hit 200k monthly viewers, I decided to TANK my Pinterest account by deleting a large chunk of my boards and pins. But I did it for a reason. So let’s dive into this post already so you can continue to skyrocket your Pinterest growth. There is actually a full blog post talking about exactly why I did what I did. But I’ll sum it up for you right now. When I first started to use Pinterest for my blog, all I wanted was to get more repins and clicks to my website. And I thought the best way to do that was to share content that Pinterest users wanted to see. So I had a food board, a style board, a home design board, and of course, a wedding board (even though I’m not married or engaged). And those boards were great. They made it easy for me to share content on a weekly basis that got engagement with other users. But the thing is… that’s not my audience! 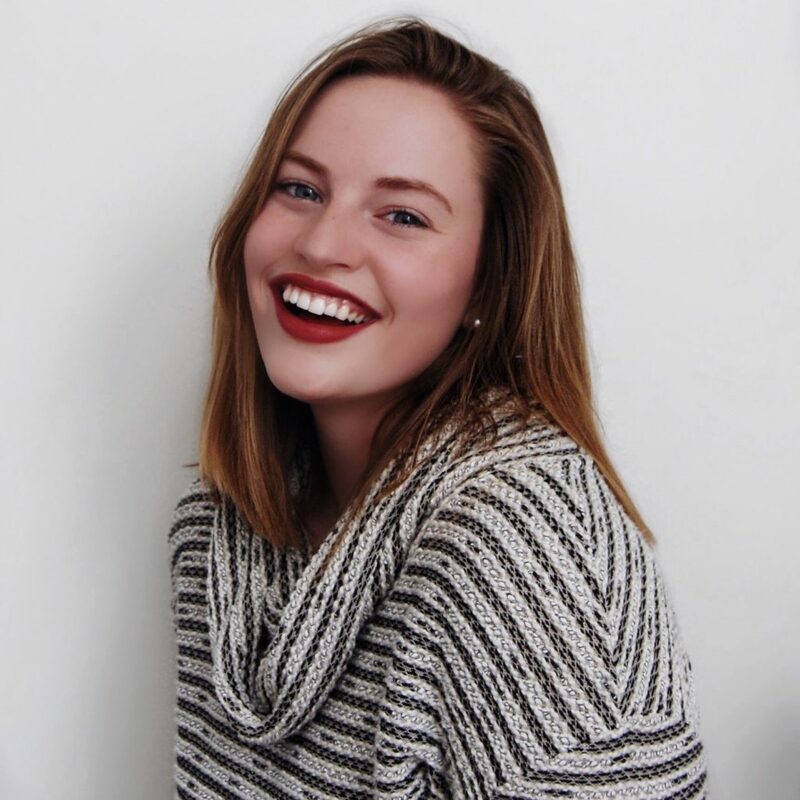 I wanted people to see my pins that were into blogging and entrepreneurship. And I wasn’t going to attract those people by sharing my (someday in the far future) wedding ideas! That just doesn’t make sense. So I decided to transform myself from a content hoarder into a content creator and I deleted 8 boards and almost 2,000 pins. And of course, my stats plummeted. But I expected them to. And it turns out, that this was actually the best thing that I could have done for my Pinterest account and my website. Because this allowed me to achieve next level growth on Pinterest. Since we did it in the last blog post, it’s only fitting to continue with sharing my Pinterest timeline so you can really witness this growth. I missed tracking a few months since I didn’t continue on with my monthly reviews. But don’t worry! They will be back as I recap the end of November. So I hope that you’re excited for that. But as you can see by my follower count, my Pinterest continued on a steady growth over time. And I’m pretty pleased with that! Now let’s look at the actual analytics provide my Pinterest. So if you are new to Pinterest, you need to have a Pinterest business account to get access to your analytics. So here is what I showed you last time… This is a screenshot of my average monthly viewers from March 5th, 2017 to May 5th, 2017. In exactly 2 months I was able to grow my account from 7,000 to 100,000, which is pretty cool! So if you are new to Pinterest, just know that this is doable! But let’s take a look even further. Here’s my analytics from May 1st, 2017 to July 22nd. This is when I decided to tank my Pinterest account. It was actually in the middle of June that I decided to purge my Pinterest content and it took until July for my stats to finally flatline and make the crawl back up. And then something big happened. In the middle of August, my numbers spiked and my account took off! And in a matter of 1 month, my account when from 120k to 550k. And then by the middle of October my account hit 600k average monthly viewers! This is a screenshot from the “People you reach” page in Pinterest analytics from August 1st, 2017 to October 10th, 2017. And to give you the complete picture, I’ve also taken a screenshot of my analytics from the very beginning. So here are my analytics from March 2017 until October 10th of the same year. There have clearly been some ups and downs in there. And you can tell where I tanked my account. But I’m hoping that you can also notice that tanking my account was a great decision. If I hadn’t I don’t think my account would have grown to that level so quickly! Now I bet you want to know my secrets. How exactly I achieved this growth, right? Well, I’m about to tell you if you’ve still got time to spend with me. Well, this shouldn’t come as a surprise… But it wasn’t easy. If you are looking to achieve some next level growth on this amazing platform, then saddle up kiddo. You’ve got a lot of work to do. The first thing I did after I deleted those 8 other random boards was to add more niche specific boards. 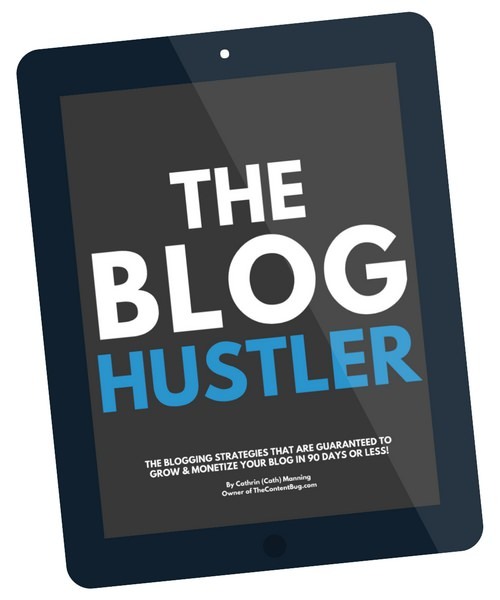 My audience is bloggers and online entrepreneurs. And my content focuses on blogging, social media, SEO, website stuff, and more. But basically, it boils down to creating your success and following your passion and doing that through the online world. So my audience is typically searching Pinterest for similar topics such as how to grow their social media following and how to get paid to follow their passion. 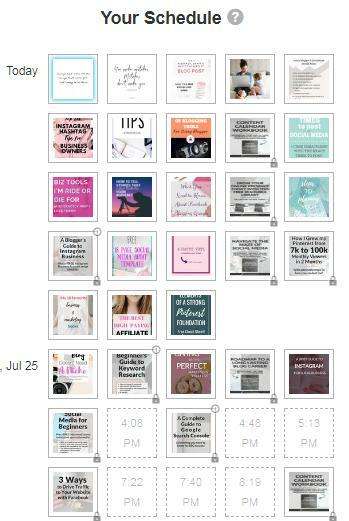 It only made sense to include more boards that talked about all areas of blogging and digital marketing that way I could attract people by the pins I share! And that goes beyond my actual pins. I’m talking about the pins that I share of other people’s content as well. Now when I tanked my Pinterest account, I left my profile with only 22 boards. And I always recommend people to have 30-35 or more boards! So I knew that I had to create more. If you read my other post about Pinterest growth, then you know that I use Tailwind for all my pinning on Pinterest. But when I first set my schedule I was sharing 25-30 pins a day. Well, then I changed it and only pinned about 20 times a day. So I changed my pin schedule to share 40+ pins a day. Sometimes it’s 41 and sometimes it’s 52. It just depends on the day. And thanks to the automatic scheduler by Tailwind, I really don’t have to worry about anything! I just set the number of times I want to pin and it does all the work for me. Another thing I did that made a big difference was that I started sharing more of my own content. For a while, I was only sharing my latest blog posts. I wasn’t sharing old content! And that was darn silly. So I started to up the number of pins that were from my website to at least 7 a day. And some days actually have around 15 of my pins! But when I did this, I noticed 2 things. The first is that my reach on Pinterest continued to grow! And the second was that it lead to more traffic to my actual website! They say to share a happy medium of 20% of your own pins that lead to your website and then 80% of other people’s pins. But I really believe it’s more like 30% to 70%. Don’t be afraid to promote yourself and your pins! Just make sure that you aren’t only sharing your stuff. That’s when things go south. So this strategy has 2 parts. The first is that I started to join a lot more group boards. People started asking me every week to join new boards! And I’ve probably turned down 15 boards because some just weren’t the right fit. But I ended up joining a lot of really great ones and even some beginner ones to help people share amazing content! And then I also started to share more content on all the group boards that I am a part of. 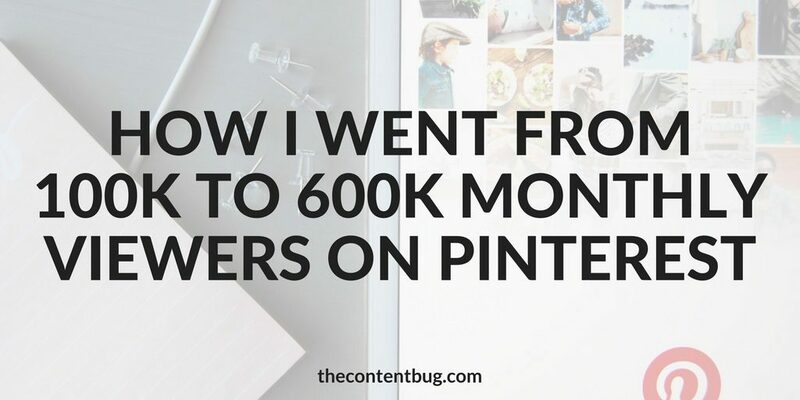 When I wrote the blog post about how I grew from 7k to 100k on Pinterest, I would only share my content on group boards! I thought that it was just a great way to promote myself. But the thing is, the more active those boards are, the better it is for you and everyone else that uses that board. So if you share other people’s content to those boards as well, you are only going to improve the chance of the content you share on that board to be found. So what I started doing was pinning the content to group boards that I was going to share on my boards as well. That way each pin is shared in multiple places at different times! And in the end, it really made my life easier. I had fewer pins that I needed to find each week since I was syndicating more content. It was really a win-win. Okay, guys. No seriously… It’s time to listen up. Can we take a minute to talk about Tailwind Tribes? Because they are the real key to my success. If I could give anyone a big hug for helping my business it would be the guy who invented Tailwind Tribes. Whoever you are, can we be besties?! If you haven’t heard of Tailwind Tribes before, let me explain. I’ve talked about Tailwind a lot. 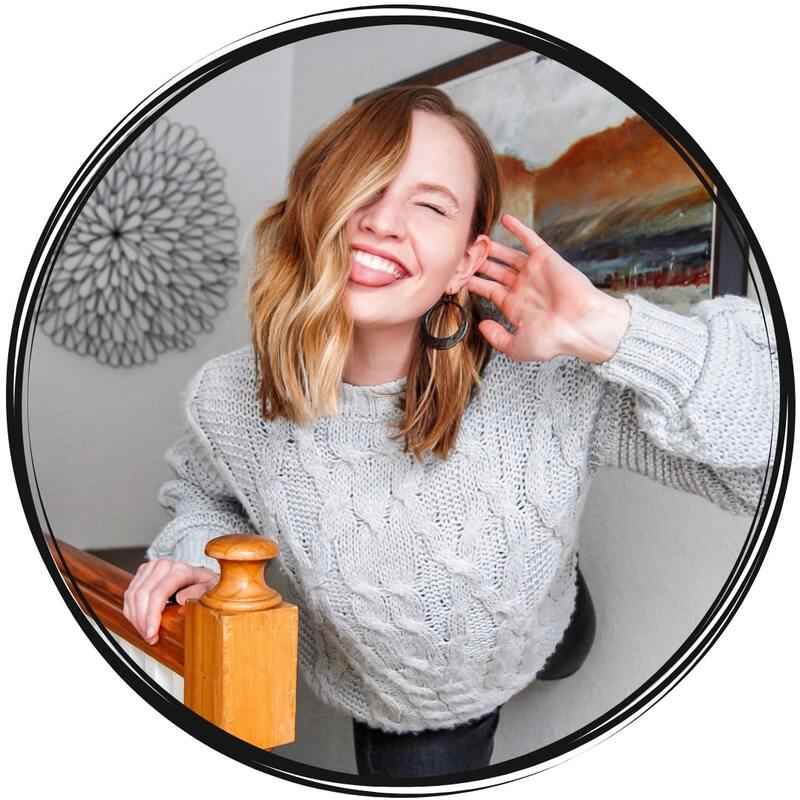 And if you want to know more about them, I have a blog post that talks about how they helped me really increase my blog traffic. But Tailwind is an automation platform that helps to automatically share pins to your Pinterest and they are even working with Instagram now too! I only use the Pinterest feature though. It’s super easy and amazing because then I don’t need to waste hours each day just repinning pins on Pinterest. Instead, it’s already done for me! And within a week, my engagement level on my pins began to spike! It was insane. Do you remember that spike in my analytics that I shared with you earlier? Yeah… that’s what I’m talking about! And now thanks to Tailwind Tribes, I’ve received 770 reshares on my pins and expanded my reach to 6.4 MILLION users. Can we just take a moment of silence? Because wow. I have nothing more to say other than… wow. Tailwind members are allowed to create something similar to a Pinterest group board within the Tailwind platform. So they invite people to join their tribe and people get to share their content in one central area. Most of these boards have rules based on the content you are allowed to share. So the boards you join are unique to your niche. But there are also rules on how you are allowed to use the tribe. Meaning most have a 1-for-1 rule. So if you share 1 of your own pins, you have to repin at least 1 other pin. And let me tell you, that’s easy! For most of the tribes I’m in, I’ve only share 20 to 30 of my pins. And I’ve shared over 200 of other people’s pins from those boards! That’s where I get all my content for Pinterest now! But with these rules in place, it helps to encourage people to support other Tailwind users! And when you are a member of the right boards, you reach the people who are actually looking for content like yours to share! And when I got in on these tribes, they were completely free. And I’m so glad because now I’m a member of 10 tribes! But since they officially launched the service, they decided to not make it a free for all. Which I completely understand. So if you have a basic plan, then you get to be a part of 5 tribes before you have to upgrade. And really that’s all you need. As long as you are a part of some great ones! That’s exactly what I did to take my Pinterest account from 100,000 monthly viewers to over 600,000! And if I hadn’t tanked my Pinterest account and just shared the right information from the beginning, I might have reached this achievement faster. But I’m proud of this journey. Because it shows you that I am indeed human. And that I’ve had to backtrack for my mistakes and I still made it to where I am today. So no matter what, you can transform your Pinterest account into a powerhouse as well! I hope that you found this extremely helpful. 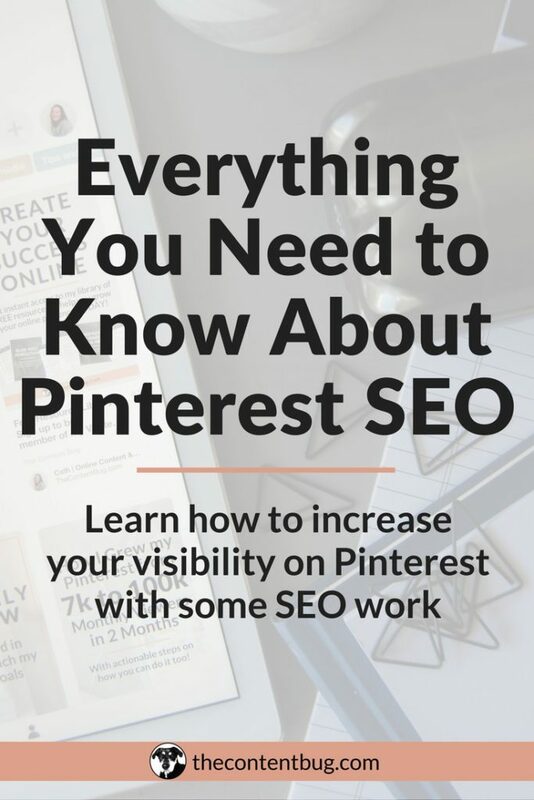 And if you want more information on how to SEO your Pinterest account or how to even set up your Pinterest account properly to improve your visibility make sure that you check out my other blog posts linked in this post and linked down below. I’ll see you later this week with another blog post. This post was extremely informative for me. 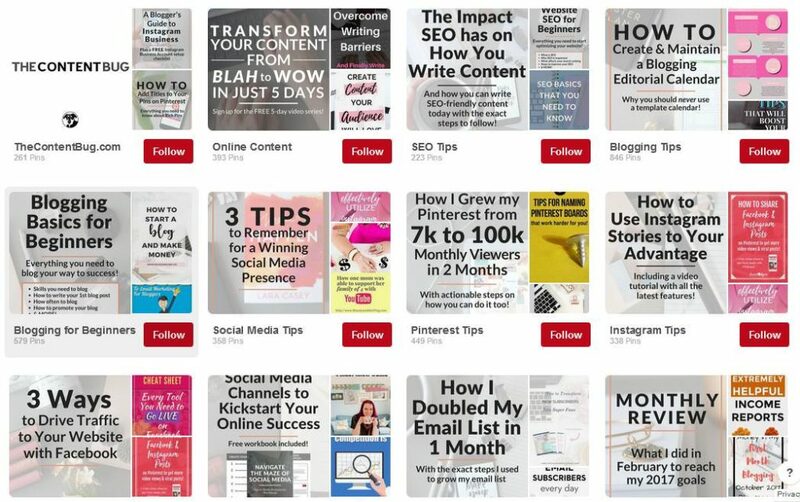 I know some Pinterest bloggers actually pin 70% of their own content and 30% of other’s…and I also saw on another post somewhere that these days Pinterest favors new pins. So these days I am working to create new pins even for existing articles. Hey Cathrin. Let me just say, “thanks for taking the time to put this post together. 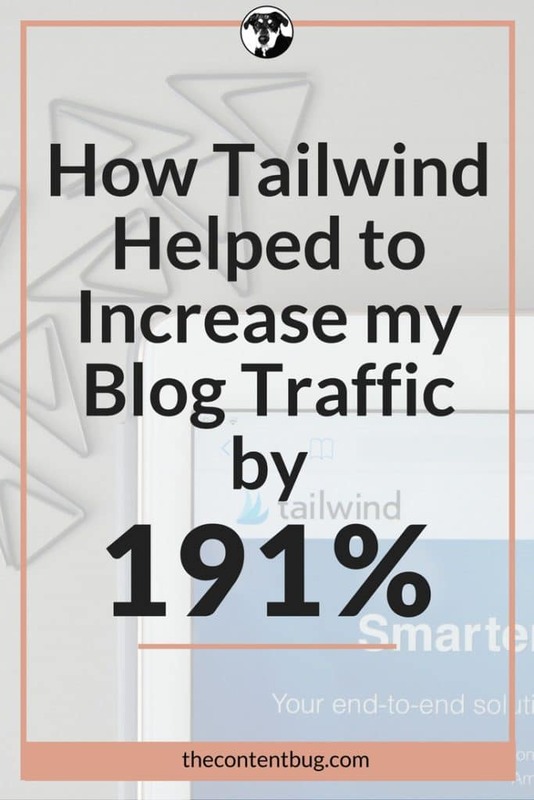 I GAINED A LOT from it.” I read your previous post on how you went from 7,000 – 100,000 average monthly viewers … But boy oh boy, this one blew me away with that bit on Tailwind tribes bit. Thanks again for putting in the work, Cathrin. It shows in this blog!